We make decisions every second of every day. From decisions such as what to wear or eat to big decisions related to relationships, or next stages in life. Basically, regret results in two choices: motivate us to take a more positive action or… stop us, leaving us to mourn what we did not do. As wrong decisions are made, hopefully we learn from them. We can have some healthy feelings of regret that may influence us to process through how we arrived at the wrong decisions to avoid future mistakes. And sometimes, we can ruminate on regret and paralyze us to move forward. Basically, regret results in two choices: motivate us to take a more positive action or… stop us, leaving us to mourn what we did not do. According to the article, The Road to Regret by Peg Streep, published in the latest Psychology Today, the feeling of regret is unique in that we are not hardwired to experience that emotion. Unlike sadness or happiness, there is no universal facial expression to convey regret: Our personalities influence both how regretful you feel and how you manage your feelings of regret. The question researchers ask: What causes the most regret and inner turmoil? Is it about [the] action taken or … inaction? Streep explains research conducted by psychologist Daniel Kahnerman of Princeton and the late Amos Tversky, found that 92 percent of participants believed a person would feel more regret if a loss were tied to action, rather than inaction. Other research conducted by Thomas Gilovich of Cornell and Victoria Husted Medvec of Northwestern found that in the long run, people regret their inaction the most, and short term, [people] regret actions that turn out badly. It can be healthy to evaluate the reason decisions are made, but when we dwell on what could have been, ruminate on what might have happened, and feel regret after a significant amount of time has passed, we are no longer living in the present and it can be a severe obstacle to moving life forward. At some point, we have to realize that the decision cannot be undone, and self-blame about the what-if’s can affect our health and happiness. 1. Harness the Functional Aspects. Regret is essential for survival. It is our brain’s way of telling us to take another look at our choices; a signal that our actions may be leading to negative consequences. 2. If There is Nothing You Can Do to Change the Situation, Let It Go. 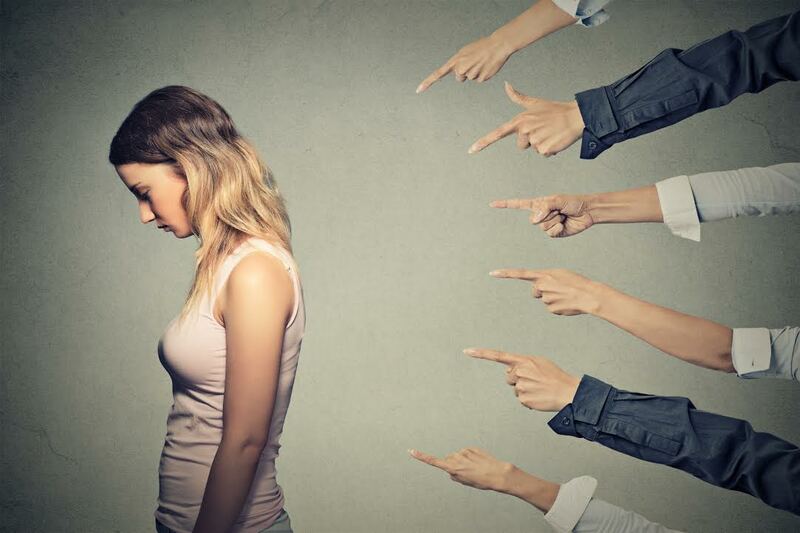 Self-blame and constant regret of past actions can lead to depression and damaged self-esteem. Find a way to forgive yourself and let it go. Think about what you would tell someone in your situation as people have an easier time forgiving others than themselves. 3. Make Sure You Are Not Taking Too Much Blame. While owning the decision helps you take responsibly of the actions that occurred, consider the circumstances that may have made it more difficult to make the decision such as limited information at the time or pressure to make a quick decision. 4. Reframe the Situation More Positively. Everyone makes mistakes… that’s life. Use the mistakes and missed opportunities as a way to learn about yourself… your ways of reacting, your values, vulnerabilities, triggers, and how to take better care of yourself. Forgive yourself for not knowing what you didn’t know before you learned it. Unknown. This entry was posted on Tuesday, September 1st, 2015 at 6:49 pm. Both comments and pings are currently closed.